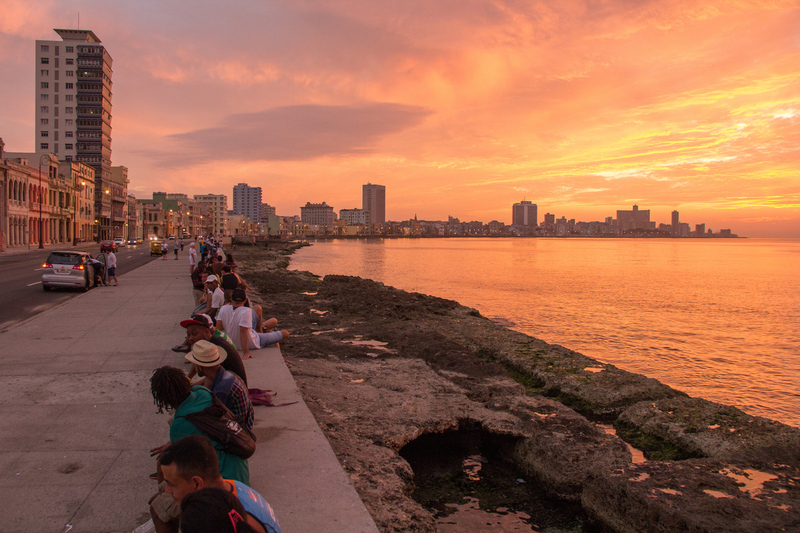 The Malecón is Havana's armchair from which to watch one of the most regular and colourful of all performances - sunset in the tropics. This is Havana's living room. It is where people come to walk, to sit, to lie in the arms of their lovers, and to talk. Often I came here just to sit, breathe the sea air, inhale the beauty of the place, and not really think of anything. 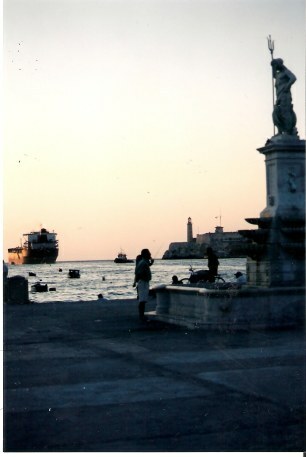 My love affair with Havana began on my first trip with my Australian tango and salsa teacher and fellow students. We came to learn Cuban Salsa at the National School of Arts and some of us left permanently changed: enriched, and with a never-to-end love affair with Cuba and its people. One of my friends once asked what kept drawing me back and my answer was simple. Here, you can be absolutely yourself. No window dressing – because here window dressing only counts in windows – and not very much there either! for it resonates in truth to me. Least Moon took two thoughtful books with him on his travels in his green van which he christened "Ghost Dancing": Walt Whitman's Leaves of Grass and Black Elk Speaks by John D. Neihardt. I probably would have also brought along John Neihardt's other classic Lame Deer, Seeker of Visions. It would help me look at life from a more holistic perspective. Brief times with my Cuban friends showed the focus on what is important in life. 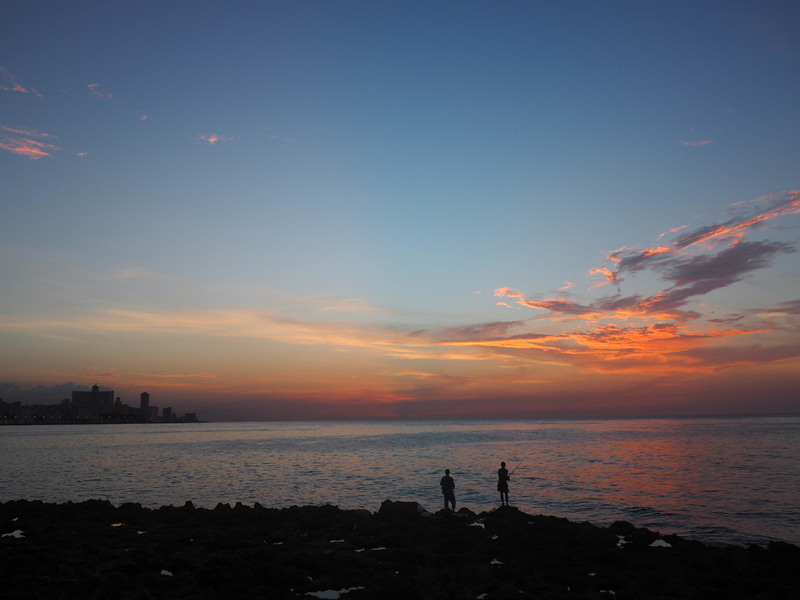 In Havana I spent a lot of time on the Malecón with them. I heard the stories of their lives, told in matter-of-fact sentences. 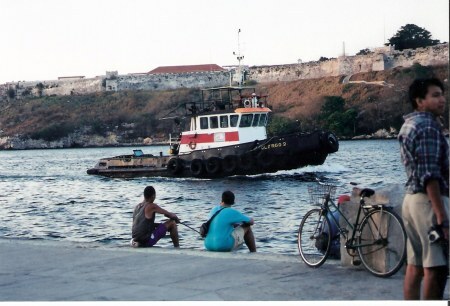 Much of what I learned on the Malecón helped me more than seven years later when on another trip I travelled with Cubans on an unofficial month with no plan adventure through the countryside of Cuba. Understanding more of their lives I felt obligated to do something for my Cuban friends. Hopefully, in some small way I made a difference. Whenever I came, I brought simple over-the-counter pharmaceuticals, clothes I planned to leave behind, once even a Nebulizer – a machine that supplies asthma medication in a fine mist – and essential for those with severe asthma (Credit to Qantas who waived the weight restrictions so I could bring it), plus various practical items including a telescopic fishing rod and Johnson reel with hooks and lures, lead weights, and small pliers in a small but efficient tackle box. 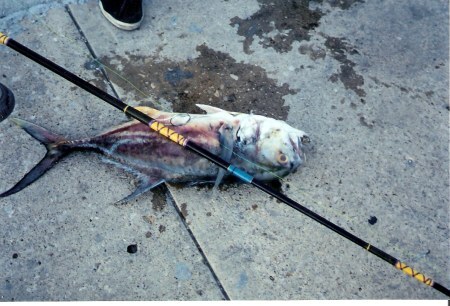 Fishing is not just sport. 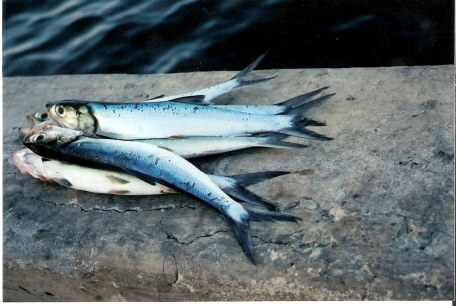 It is a very important supplement to the table and so young and old gather along the Malecón to fish. Either way, it is not a bad way to go shopping for dinner. The best view of the whole bay along which the Malecón forms a barrier between sea and land came from an ugly skyscraper which I found to my amusement to be the roost of vultures. As I was told it had formerly been residence for Russian workers, I wondered if there was any connection. 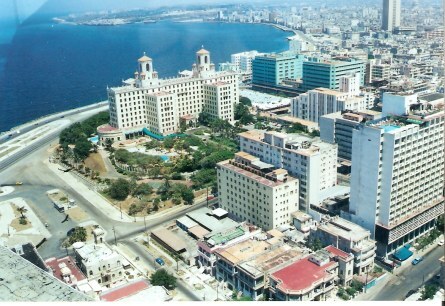 The Malecón, the Havana Sea Wall, curves 7km (4.3 miles) along the bay. Its official name is Avenida de Maceo and along it, faded pastel façades dream back to grander days. 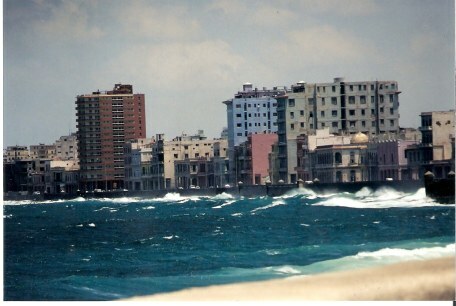 Not just a pretty face, when angry seas try to lash the city, the Malecón is Havana’s first line of protection. It is a main gathering point - the social hub. As well as the fishermen, you see lovers cradled against each other, children at play, friends gathered together, people alone gazing at the sea and the horizon as they dream their dreams and think their thoughts - clearer for the sea air. Once we passed a group of young men drinking the low quality rot-gut rum more readily available to those with limited funds than the better quality rum I could afford. They were singing and dancing to music from their boom box. As we passed, one of my Cuban friends became quite thoughtful, as he said. “That is the tragedy of Cuba. I think it was an even sadder statement in Spanish! 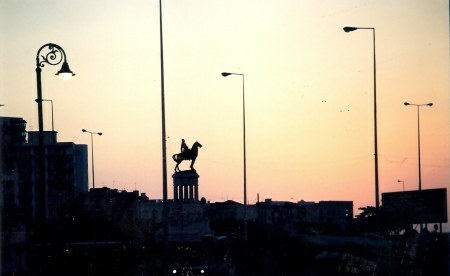 As a backdrop to these snapshots of Cuban life, the Greek God Poseidon seems to be on watch on the Malecón overlooking the sea traffic as the sun sinks. 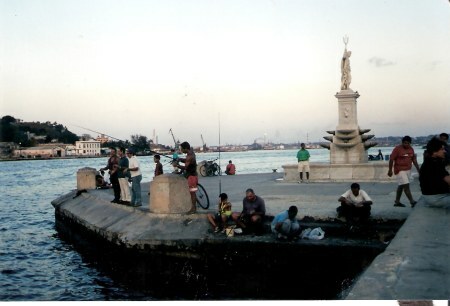 A mounted José Martí watches over those on shore. 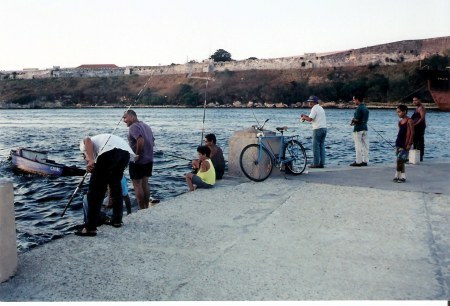 How closely philosophy and fish are intertwined in the fabric of Havana life is reflected in so many Malecón memories. In thinking about fishing and philosophy I realise that one of these activities is definitely more financially rewarding than the other. that fishing eventually turns men into philosophers. to buy decent tackle on a philosopher's salary.